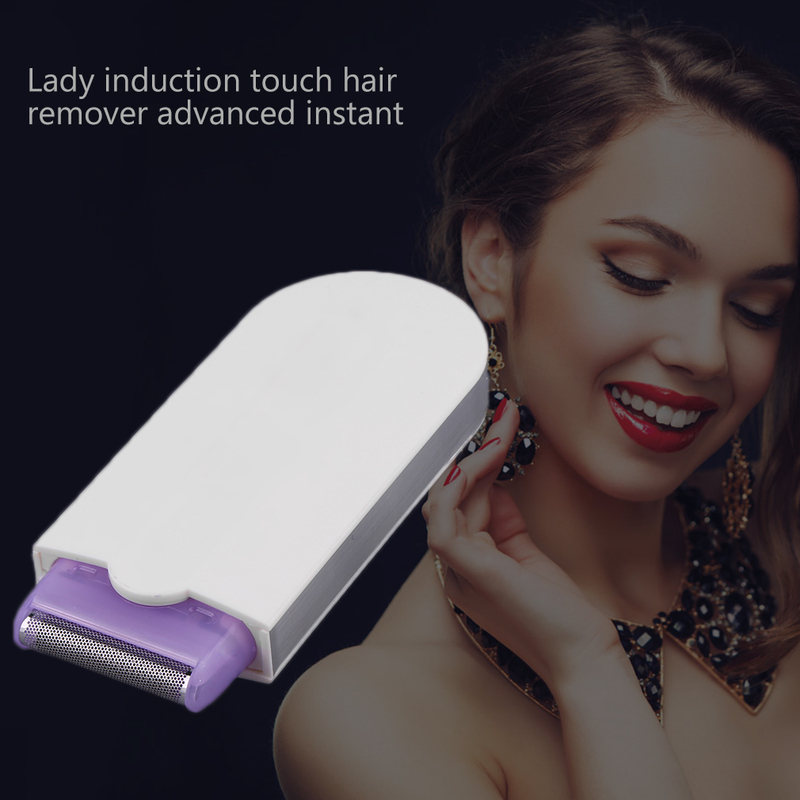 Features:100% brand new and high quality!This is a Pain Free Hair Remover that uses advanced Sensa-Light technology!It’s ideal for woman of all ages. Get those soft smooth legs you always wanted. Get rid of facial hair without painful plucking, making laser treatment appointments or waxing.Safe and gentle on the most sensitive skin.No more painful or smelly hair removal methods.No more nicks, cuts, bumps or burns.The remover will activate and remove hair as long as the head is against your skin.Come with a Microfoil head for short hair, hair stubble or touch-ups.Use anywhere there's unwanted hair - safe on all skin types and colors.Specification:Type ：Finishing Touch Hair Remover Material：Plastic Color: white Shaver Type：Rotary Battery：Built-in rechargeable battery Use for：Bikini Line, Face, Under Arm, Legs, Upper Lip Size：12* 4.7* 1.1cmWeight：109gHow to use:Move power switch to 'ON' position.Power LED flashes when 'ON' to let you know product is ready.When the Sensa-Light head comes in contact with your skin, the unit will activate and remove hair as long as the head is against your skin.The unit will go to 'sleep' automatically deactivate, 6 seconds after you remove the Sensa-Light head from your skin.The unit will reactivate when reapplied to skin.Upon completing the hair removal, simply move the power switch to “OFF” to shut down the unit.Package:1* Hair Remover1* Microfoil head1* Brush1* USB charging cable (power adapter is not included)Notice:Due to manual measurement please allow 2-3cm (0.8-1.2'') differences.As different computers display colors differently, the color of the actual item may vary slightly from the above images.Thanks for your understanding.